Last Saturday I was shopping at a nursery where I found a 'Walker's Low' Catmint (Nepeta faassinii). 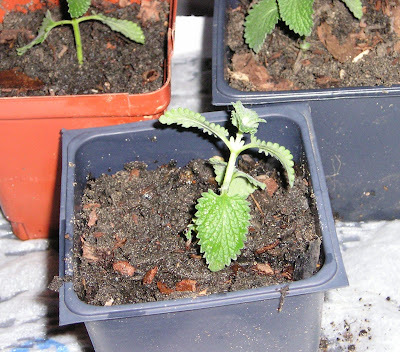 I've talked about the benefits of Nepeta before so it may not be a surprise that I bought one. I planted it the other day in our front sidewalk garden even though the cats may like it. If they do they have an excellent taste in plants. Simply brushing the leaves between your fingers leaves you with a wonderfully minty aroma. It's a pretty plant overall although my catmint is a bit leggy at the moment but that can be taken care of with some periodic pruning that will encourage a bushier habit. 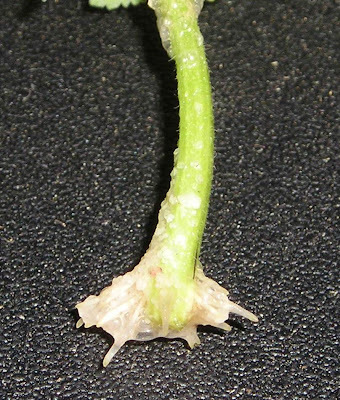 'Walker's Low' is named for a garden in England and not the plant's actual growth habit. 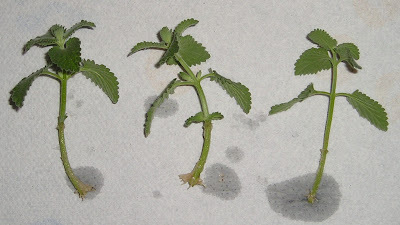 This catmint will grow up to 24 inches tall and 18 inches wide. 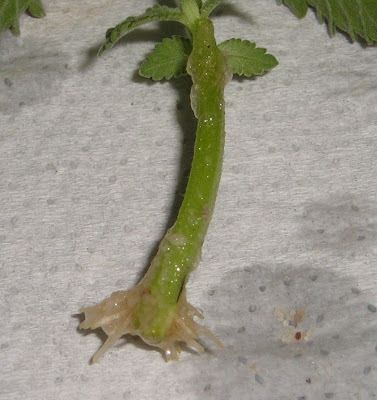 It's probably not a shock to anyone who has read this blog that plant propagation is an obsession of mine. You can probably guess what I'm about to tell you...I took cuttings of my new catmint. In fact I did that the same day I bought it! 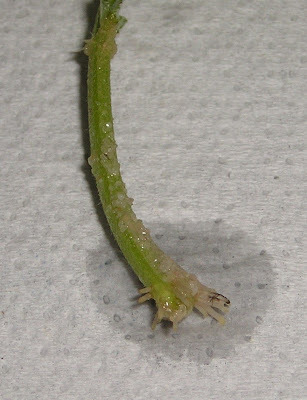 Last Saturday evening I made three small stem-tip cuttings, dabbed them in rooting hormone and stuck them in my sandbox. You're never to old to play in the sandbox right? The sandbox I have is really just a few aluminum baking pans that I put sterilized playground sand in to use for my cuttings. Here you can see the three little catmints in black and white. 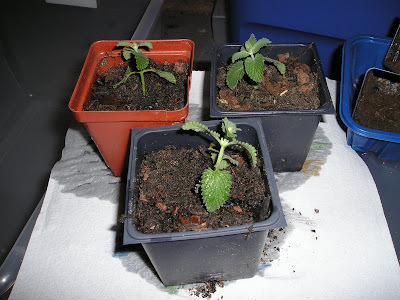 Yesterday afternoon I checked my cuttings and found that all three Nepeta faassenis had rooted! I potted them up yesterday for them to grow in the dirt. 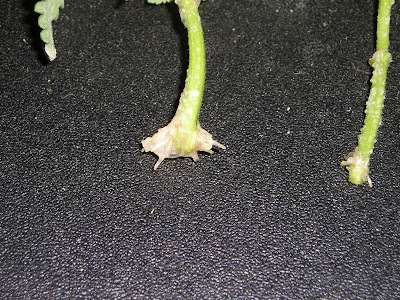 It's important to move your cuttings into soil to get nutrients since the sand is devoid of the good stuff. Five days and now I have four catmints. 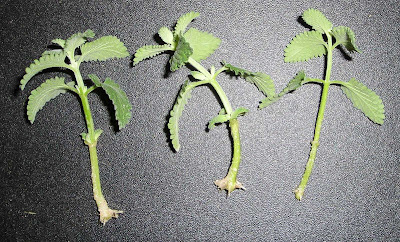 Click here for more on propagating catmint.